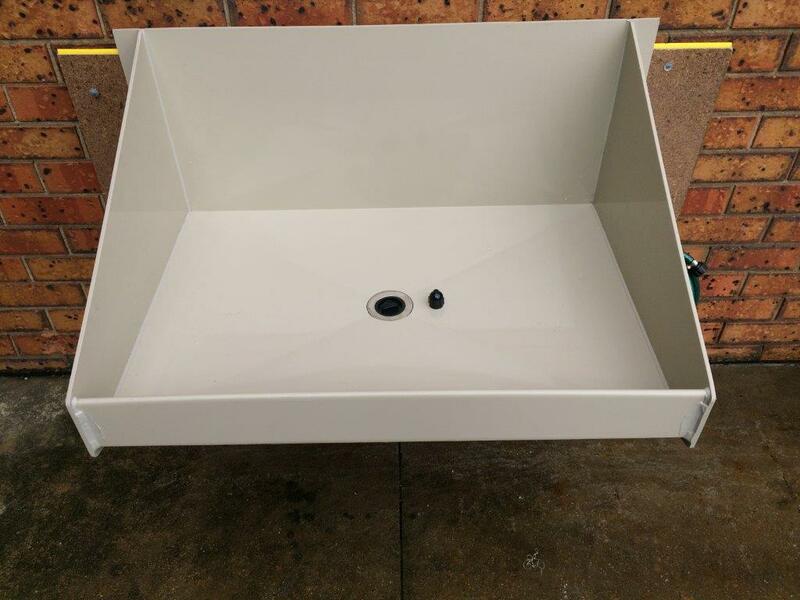 Pioneer Plastics’ fume cupboards are fabricated from uPVC or FRP (Fire Retardant Polypropylene), each section of the main body (base, hood & 2 sides) is 1 piece moulded to produce clean sharp lines. Our control system complies with all applicable Australian Standards and offers manual reset emergency isolation to isolate services in the event of an emergency. 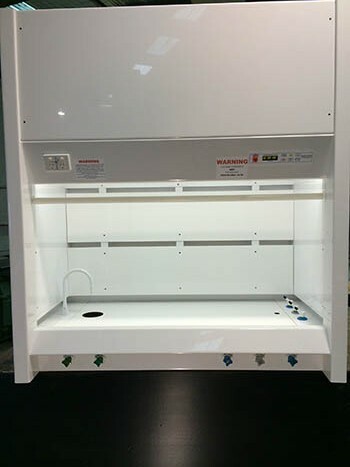 All the fume cupboards we supply come with the highest quality connections for anything from water, to gas. We supply as standard, variable speed fans. Because we are design specialists if you have a non-standard request we’ll find a way to fabricate a solution. Pioneer’s range of Enviro Series Ducted Fume Cupboards have been designed in conjunction with industry specialists, mechanical consultants and universities, to deliver flawless operation and reliability day in, day out. Our production process only uses the highest quality materials and components available, to guarantee your Enviro Series Fume Cupboards will meet and exceed all expectations. Pioneer Plastics’ range of quality ducted fume cupboards are completely customisable to suit your requirements and often at little to no additional cost. Delivery to Melbourne metro stores and depots for transfer to country stores is free. Call or email us today to discuss your fume cupboard needs. Ducted fume cupboards will usually need to be installed by licensed mechanical services and hydraulic plumbers or licensed electricians. Luckily our staff are all fully qualified, so we can install all the fume cupboards we sell. Pioneer Plastics also offers site specific, programmed, fume cupboard maintenance packages to keep your fume cupboards running smoothly. Our staff have gained their knowledge and skills through many years of industry experience and this translates to sound advice and professional service throughout the installation and servicing of your equipment. You can feel comfortable buying our fume cupboards as they all come with a standard 12 month warranty and there are options for extended warranty packages. We also offer an onsite obligation free quote service, so you always know what you’re getting for your money. Download and browse our latest catalogue (below) to see our full range of fume cupboards. 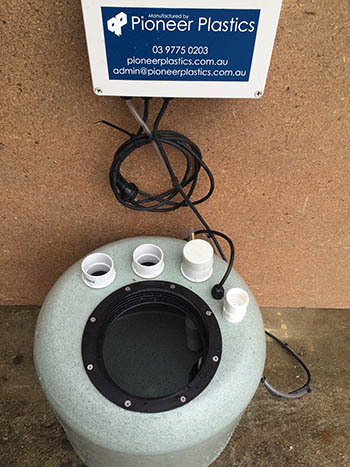 Pioneer Plastics provides top quality trade waste and fume handling equipment including, but not limited to, above and below ground grease traps and pump stations, fume handling equipment, fume cupboards and various custom plastic sheet fabrication. - Rain Water Storage Tanks. - Grey Water Diversion Systems.